Well, I wrote a while back about wanting to start on a new project and it finally got the better of me! I started working on it! I ordered a bolt of this beautiful hand dyed 108″ wide backing fabric and when it came I just thought it was so pretty! 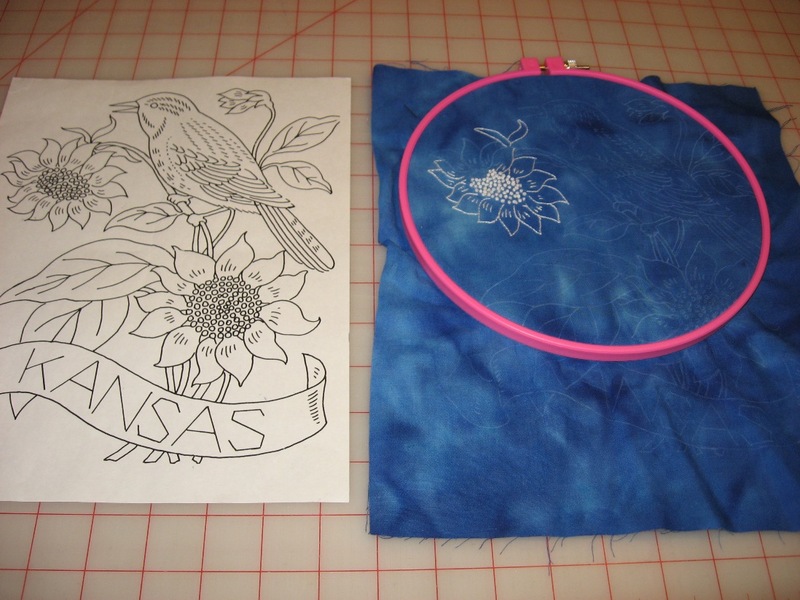 Anyway, I had ordered a set of patterns of state birds and flowers back in 2003 (I looked at the post mark) and I thought hmmmmmmmmm, I wonder what that would look like if I embroidered it in white? hmmmmmmmmm So anyway, I couldn’t wait any longer and I marked one block and started work on it. Here it is. What do you think? So far I’m lovin it! 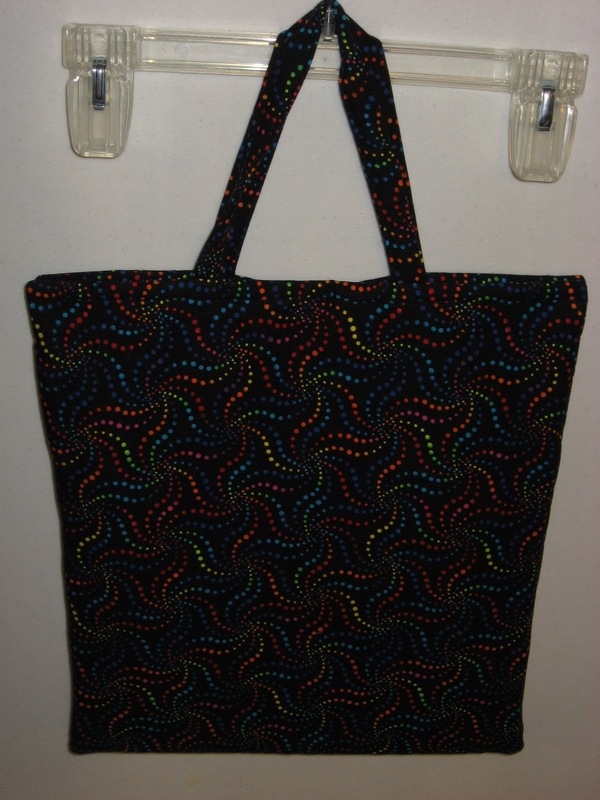 I started it Thursday night and Friday I decided that I needed to make a bag to carry it in. That way, I’ll have everything together and if I need to grab it and head out the door, all I have to do is grab the bag and go. So………today, I made a bag for it. I combined 2 different pattern ideas and made it the size I wanted. It folds open so that I can get to what I want. I put pockets on the inside to hold certain things. I’m going to add velcro to the upper corners to help hold it closed. 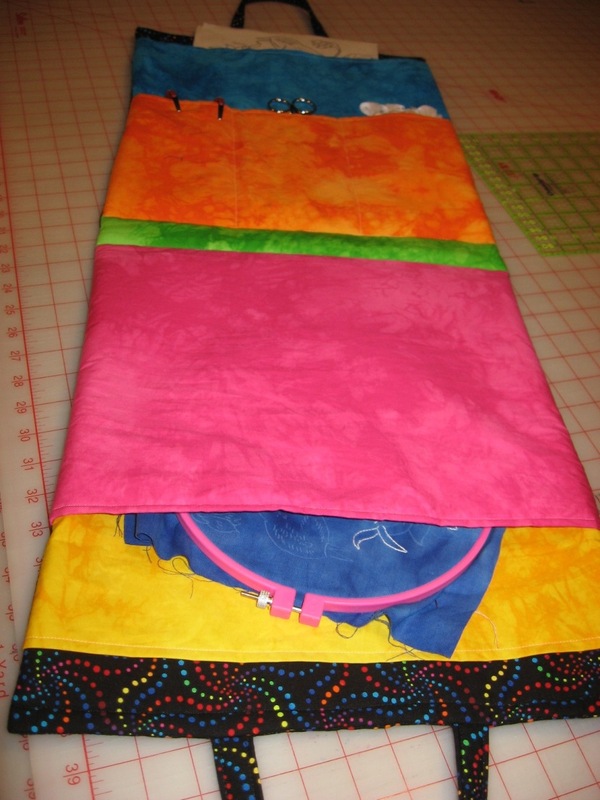 I will also put a small piece of velcro behind the yellow pocket and the turquoise pocket to hold them closed. The turquoise pocket will hold the patterns and blocks when I get them cut. 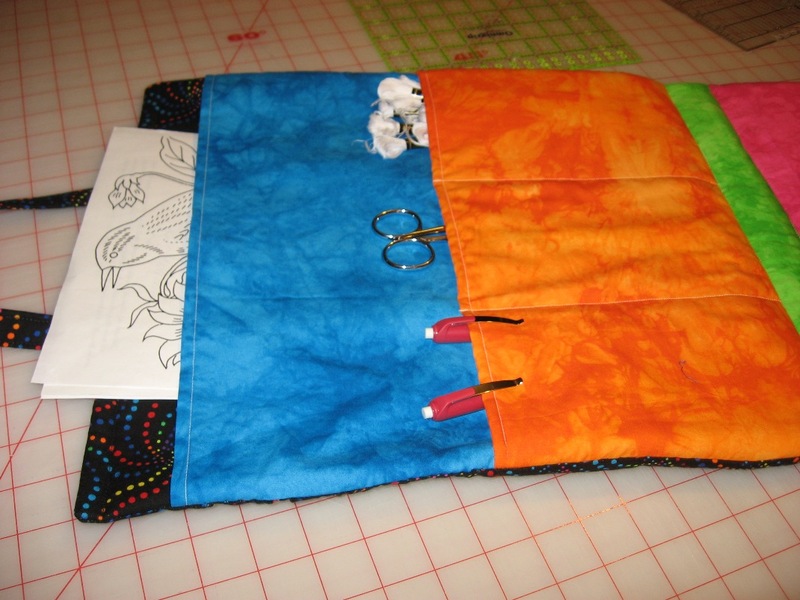 The orange pocket is divided into 3 sections and will hold the embroidery floss, scissors and the pens I use to mark the patterns. The green strip is the bottom of the bag. 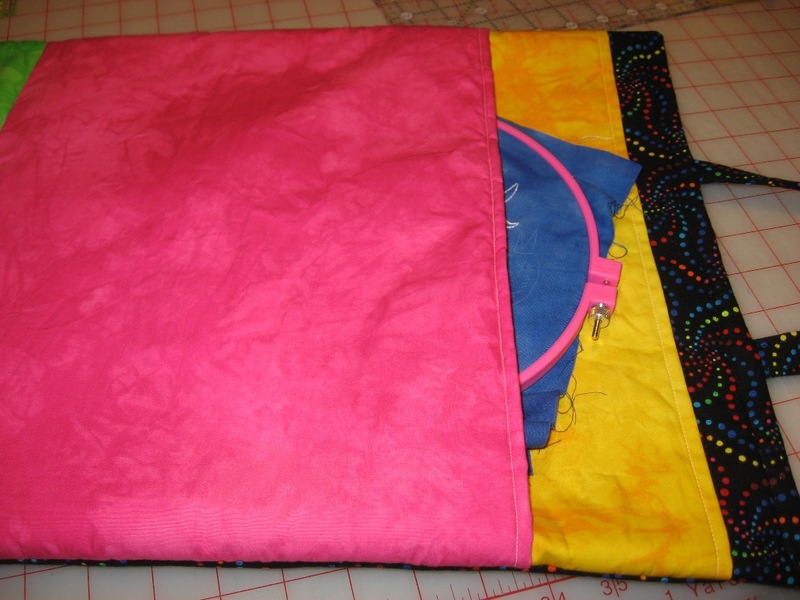 The yellow pocket will hold the finished blocks and the pink pocket will hold the block that I’m working on. Well, that’s what I’ve accomplished over the weekend. As soon as I get the velcro pieces sewn on, I’ll be all done with it! Yeah!! The bag anyway!!! LOL!!! 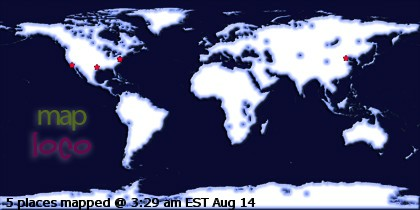 It will take years to make 50 blocks. That’s one reason why I chose to make the bag using a black fabric! LOL!! Who knows what the bag will look like after I tote it around for ?????years. What a great project bag! WOW! So creative. I love it. Thanks Vicki and Teresa! I liked making it and knowing exactly what I was going to use it for. 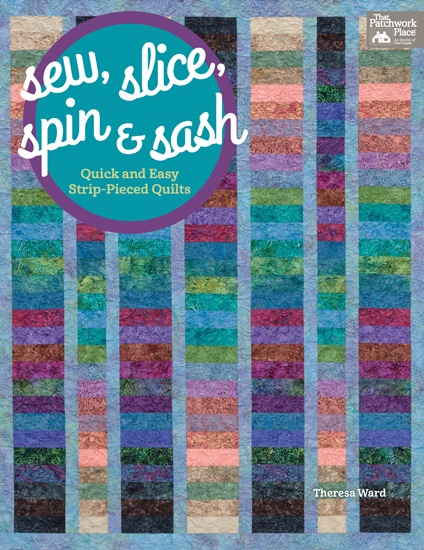 It will hold everything from the fabric to the finished blocks and I won’t have to worry about misplacing completed blocks or loosing any of the patterns.